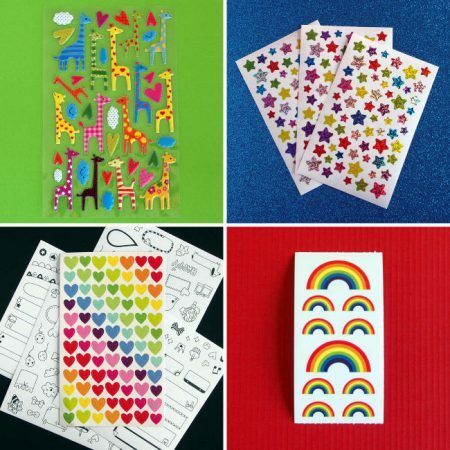 7+ different styles of stickers (small sheets & individual). 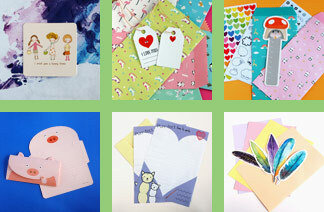 2 pieces of A6 coloured paper or a Lettuce Write postcard for you to decorate and post. A Lettuce Write fan note for you with a picture to colour on the back. 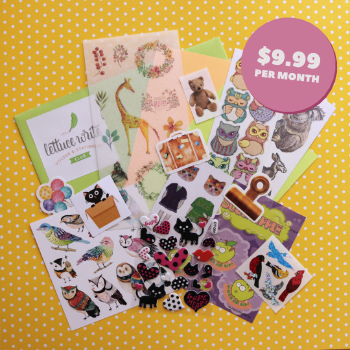 8+ different types of stickers (sheets & individual). 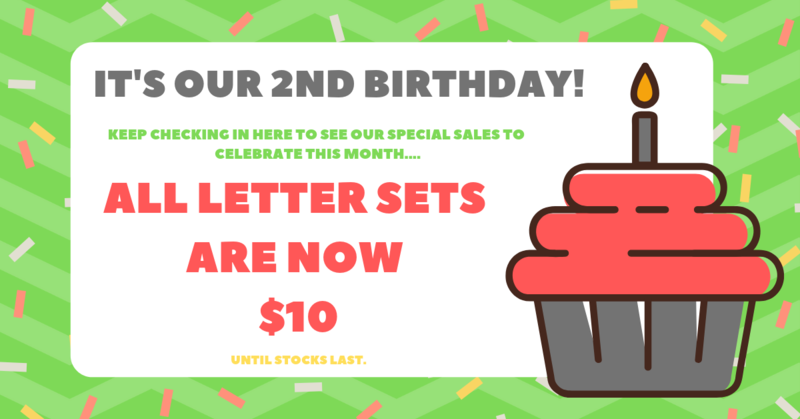 2 pieces of letter writing paper and a matching envelope from our original letter writing sets. 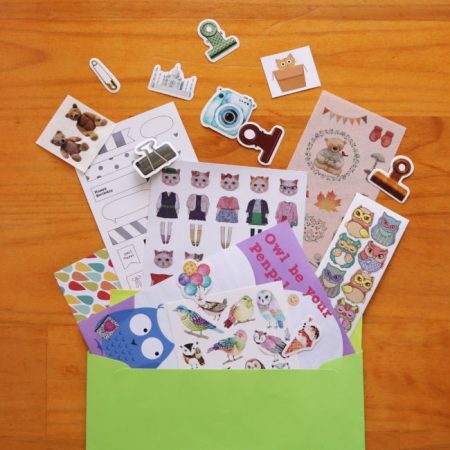 5+ stationery & paper craft items such as blank cards, memo pads, notebooks, bookmarks, patterned cardboard, fold and send letter sheets, envelopes, gift tags, mini cards, post cards. HOW DOES THIS SUBSCRIPTION THING WORK? Signup month-to-month. Cancel or pause your subscription at any time. 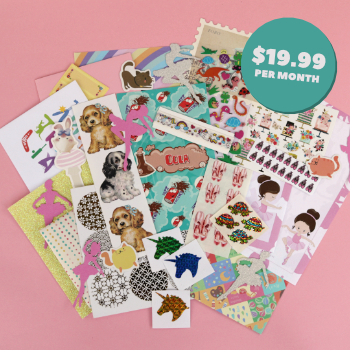 We send you amazing sticker & stationery goodies each month! 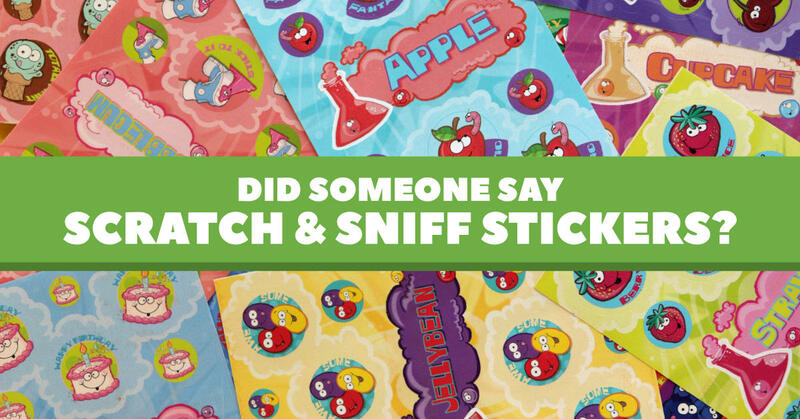 We've found both adults and children love scratch and sniff stickers. 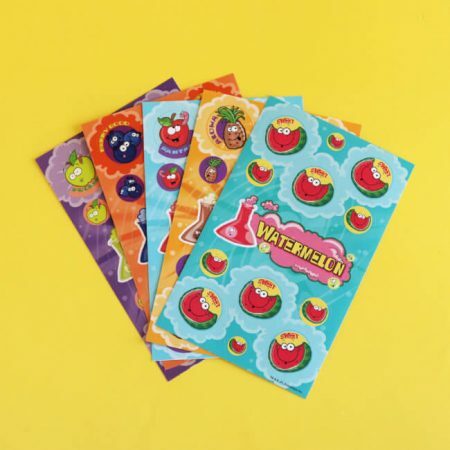 This bundle of fruity scented smelly stickers are made by Dr Stinky's and smelly absolutely delicious! 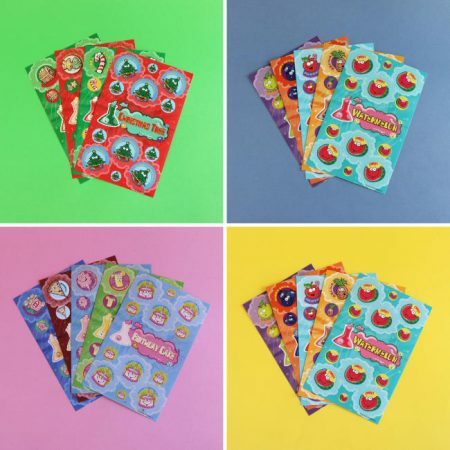 The fruit salad sticker pack includes one scented sticker sheet in each of the five different delicious scents below. 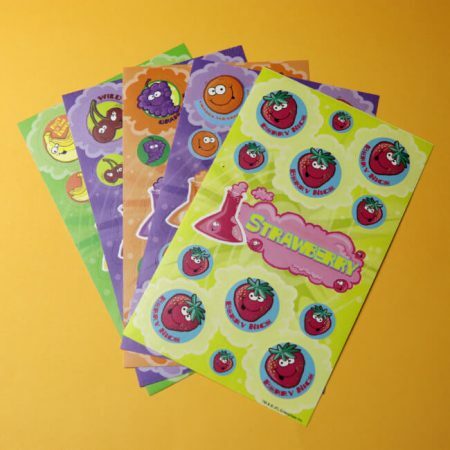 This variety pack of scratch'n'sniff stickers are made by Dr Stinky's and are delicious and healthy at the same time! Both adults and children love scratch ‘n’ sniff stickers. We are currently waiting on a fresh batch of apple scented sheets. please feel free tell us which flavour you would like us to replace it with in the note section at checkout. This variety pack includes one sheet each in five different flavours. 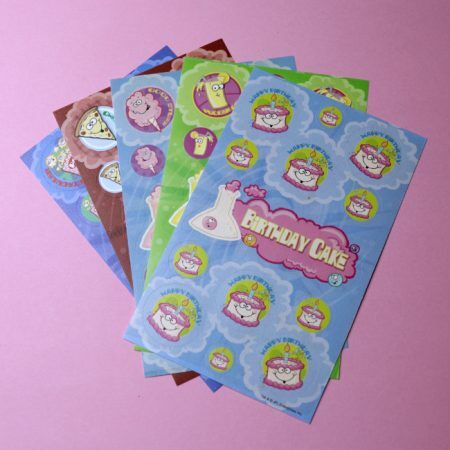 This variety pack of scratch'n'sniff stickers are made by Dr Stinky's is perfect for celebrating birthday fun. 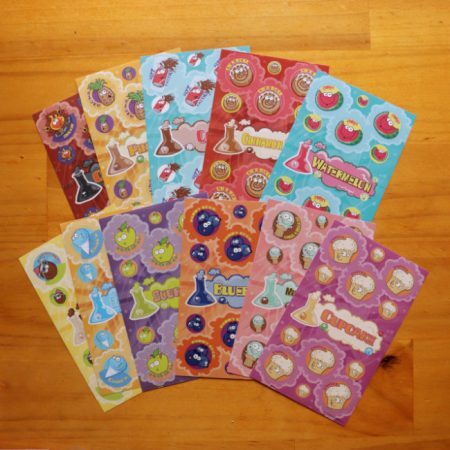 Both adults and children love scratch ‘n’ sniff stickers. 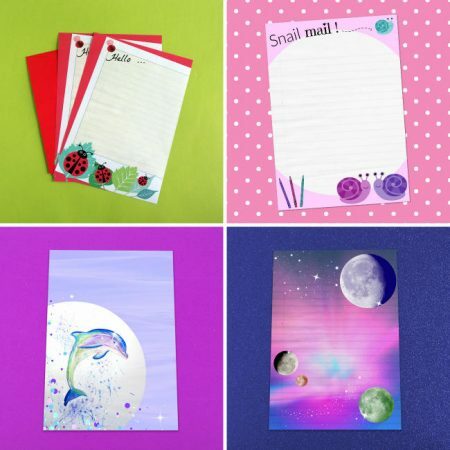 Use them for a teachers reward, stick them to your phone case or decorate a letter with them. This variety pack includes one sheet of each of the five amazing flavours. Birthday Cake - smells just like a vanilla cupcake but bigger. Lemonade- delicious sweet citrus scented drink. Cotton Candy - or fairy floss, smells just like this sweet treat. Pizza - hot cheesy, tomato pizza smell. Popcorn - smells just like buttered movie popcorn. Please note: Each sheet is individually wrapped in a plastic sleeve to protect the scents from mingling and becoming one combined nasty smelly mess. If you would prefer not to have us use all those plastic sleeves (we understand if you do), please add a note in the check out. 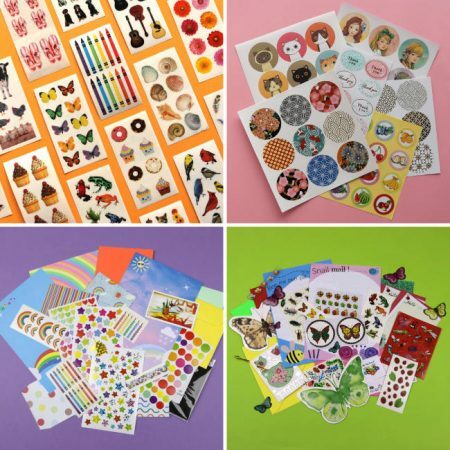 SHOP THE STICKER & STATIONERY STORE!